Agpro® established their reputation in the 1960s as a leader in furnishing commercial animal raising facilities, including dairies, feedlots and swine operations across the United States. The company specializes in designing state-of-the-art waste management systems, now widely acknowledged by industry and regulators to be the most efficient way to collect, clean, store, process and re-purpose large volumes of animal waste. 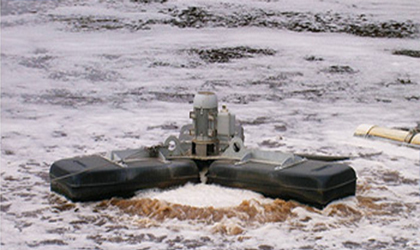 Agpro® offers a complete line of products and systems for your waste management needs. 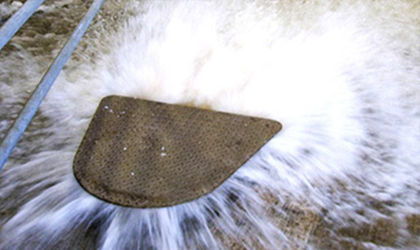 Specially designed flush equipment can clean parlors and freestall lanes in a matter of seconds, dramatically decreasing the size while extending the life of your waste retention structures. 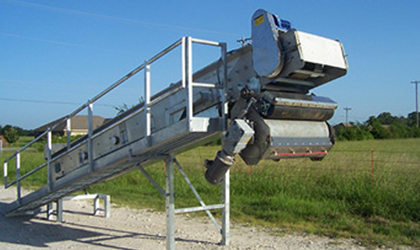 Our environmentally friendly manure handling equipment separates solids from fluids and recycles both the liquid and solid portions of the manure slurry. Contact Agpro® for more information on their waste management systems. 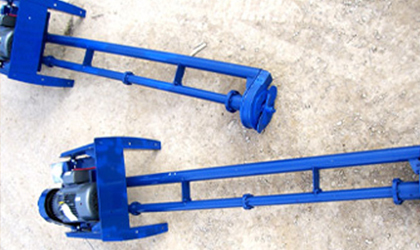 We offer a wide variety of waste management systems and products. Several waste management concepts developed by Agpro® have been adopted by industry and accepted by the regulatory agencies as an efficient way to clean, store, process and utilize large volumes of animal waste.